We value our clients' experience at Chaparral Veterinary Medical Center. If your pet or animal is currently a patient, please feel free to complete the following Client Experience Questionnaire. The Questionnaire is in Adobe Acrobat format, and requires the free Acrobat Reader to view. We took our 18 year old cat here after he fell ill & had to cross the Rainbow Bridge. They were kind, helpful and made the process much more bearable. Dr. Cunningham and the staff of Chaparral Veterinary Medical Center are extraordinary. Professional and personable I love this practice!! We had complex issues with our older cat Elvis and Dr. Cunningham provided a solution that has given him back his happy life. What is remarkable, is that the staff is willing to go above and beyond ...consulting with specialists when necessary, searching for the best prices on medications, and doing personal followup on even routine appointments. It is great veterinary care and exceptional customer service. Dr. Cunningham and her staff have taken care of our cats and dog, and will be seeing our new rescue pup this week! Thank you all for everything you do. You guys are the best! My wife and I recently moved to Scottsdale from Minnesota and joining us was our beloved 14 year old Border Collie, Scout. We took Scout to see Dr. Cunningham after she began having some health issues. After several visits, we unfortunately had to say goodbye to our Scout this past Monday morning. The level of compassion and professionalism displayed by Dr. Cunningham along with every staff member we interacted with was unparalleled and in my opinion, cannot be topped. I have had dogs my entire life and I have never received this level of care and satisfaction. 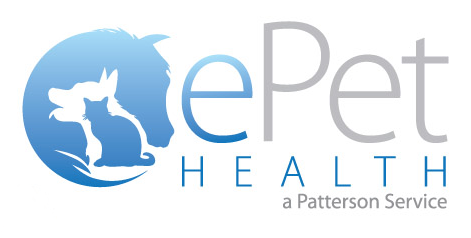 We absolutely will be choosing Chaparral for all of our future 4 legged children and i would highly recommend them to anyone currently seeking a Veterinarian.